How the Poinsettia Became Known as Christmas Symbol. The Poinsettia has been a Christmas symbol in the United States for over a century. Its shape is unlike any other and its beauty is stunning! – It is amazing how a warm climate “weed” has become one of the top selling potted plants in December throughout the coldest regions of the United States and many other countries. In its natural habitat, the Poinsettia can be found growing most abundantly in the southwestern coastal plains of Mexico. It grows as a shrubby weed that can get to as high as 15 feet. The red “flowers” at the end of the plant are actually leaves, which are called bracts. These bracts grow a different color (usually red) because of a physiological reaction in the length of night and day, called photoperidism. The actual flowers are yellowish in color and develop in a small cluster in the middle of the plant. 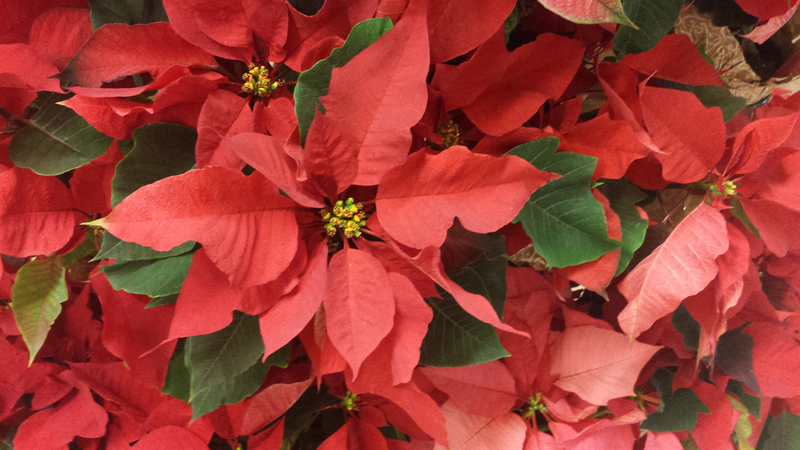 It is in Mexican folklore where the link between Poinsettia and Christmas came to begin. It is said that a poor young girl picked poinsettia from the side of a road as a gift for the baby Jesus at Christmas Eve thus becoming known as the ‘Flowers of the Holy Night’. After being introduced into the US by an American diplomat, named Joel Poinsett (hence the name), cultivation of this ‘shrubby weed’ started. Several years after introduction into the United States, in the early 1900’s, the Ecke family slowly created one of America’s long lasting Christmas traditions by growing, selling, and marketing the plant as a Holiday symbol, calling it the “Christmas Flower”. Aside from the obvious relation to the colors of Christmas, there are other symbolic features that the plant has. For instance, the red bracts are said to symbolize the blood of Christ. The shape of the bract is said to represent the star of Bethlehem, the birth place of Jesus. 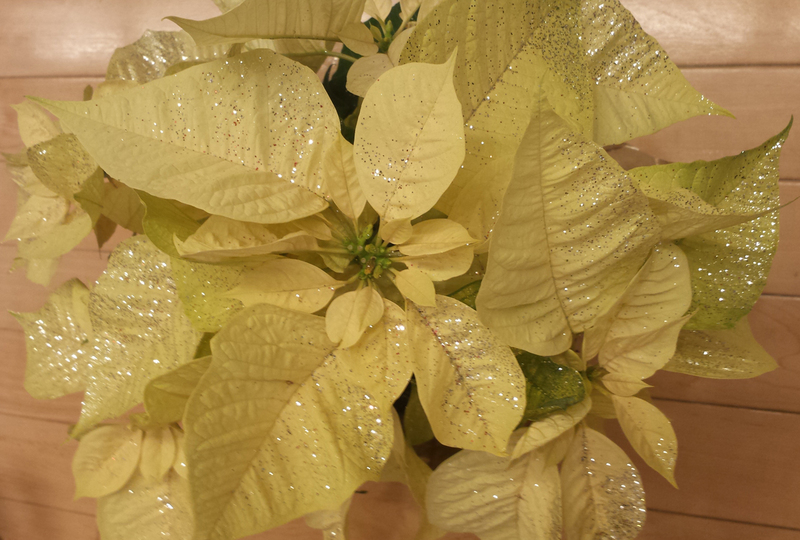 From Thanksgiving to Christmas you can find this plant in most nurseries and flower shops. It’s available in many colors, such as crème, pink, marble, and gold. Need a simple Christmas gift for a relative or friend? Try a Poinsettia.